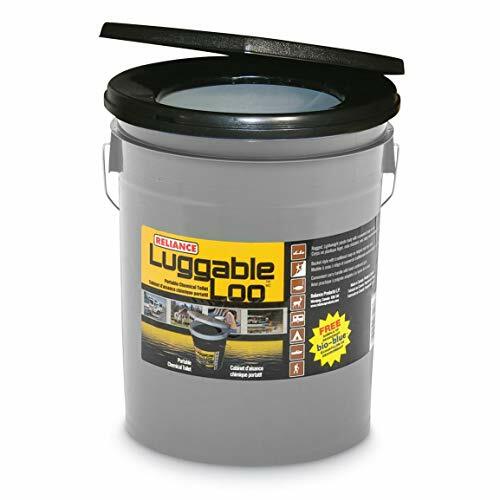 When you need a truly portable toilet option, the Luggable Loo is a great way to go. It’s extremely lightweight, at only 3 lbs. when empty and is easy to take along when you’re somewhere without plumbing. 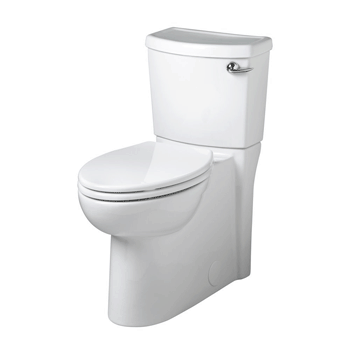 On top of that, it’s a suitable option for those who need a quick and easy emergency toilet. In addition, this is an option that comes at a very fair price so you won’t need to break the bank for something to take camping or use in emergency circumstances. It’s also easy to clean, change out the bag and carry just about anywhere you may need it. The design of this toilet is pretty simple. For the most part, it looks like a bucket with a toilet seat and lid installed on top. It’s extremely lightweight, making it easy to pack when you’re camping, traveling or anywhere else you may need it. All you have to do is add a bag and you’ll be good to go. It also offers an entire 5-gallon of capacity, meaning there’s plenty of space. 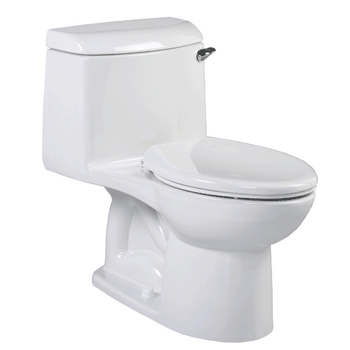 On top of that, it comes at a very affordable price, so it’s a perfect option if you’re in need of an emergency toilet. Even if you just want something to work as a backup, this is an easy option to purchase and store. Because this is a backup or camping option, it doesn’t include any flushing system. Instead, you place a bag into the bucket. It’s a process that is rather similar to putting a trash bag in your garbage can. When the bag is filled up, you’ll need to make sure to throw it out or find a more ecofriendly use for it. This is a simple option, so you’ll be able to clean it as needed with something like a Lysol wipe or other general cleaner. Because it uses a bag, you also shouldn’t have too much of a worry for it getting very messy. Otherwise, you can simply choose to replace the Luggable Loo with a fresh model. Because it’s such a budget-friendly option, you could even choose to keep multiple Loos around for any given situation. They’re lightweight and you could easily keep one just about anywhere. This system doesn’t use any water. As a result, you won’t have to worry about water consumption, as you might with some other options out there. If you want a little more privacy, you could also get a little pop-up tent for a fully convenient outdoor bathroom. There is really no installation that comes with this device, as it contains everything you need and doesn’t connect to any plumbing. As a result, it’s a quick and easy option to use wherever and whenever you may need to. All you have to do is make sure it has a fresh bag and go. If you have any special needs, like a seat cushion or something else then you will want to make sure you have that. Aside from that, there’s very little worry about having to install the Luggable Loo at all. One of the great aspects about this option is that it’s highly affordable. As a result, you’ll have a comfortable toilet option while you’re camping or in an emergency without paying a high cost. At a mere 3 lbs., it’s also an extremely portable option that you can pick up and take anywhere. There can be a few flaws with this toilet that are worth keeping in mind. In some cases, those who ordered have found that the lid is either missing or doesn’t quite fit correctly, which can be frustrating. Furthermore, the lid can sometimes have sharp edges that are worth keeping an eye out for. In short, this is a very simple, affordable option that you can take anywhere. You could even keep one in your vehicle, RV or with your camping gear. It’s an affordable and easy choice that many have found to be highly convenient and easy to use. Pick A Toilet Copyright © 2019. All Rights Reserved. 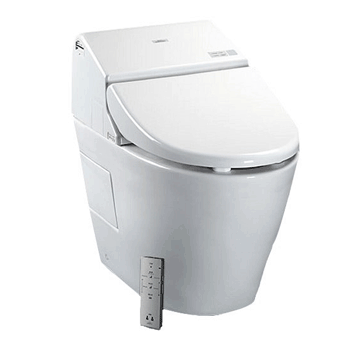 pickatoilet.com is a participant in the Amazon Services LLC Associates Program, an affiliate advertising program designed to provide a means for sites to earn advertising fees by advertising and linking to amazon.com.